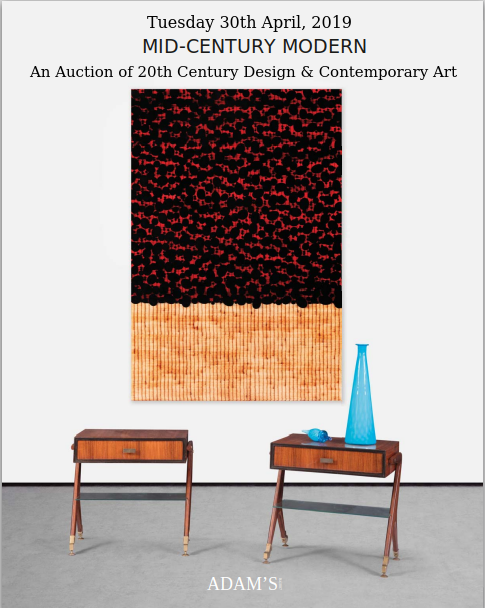 Three Stunning Sales for the Irish Collector! Great Sales tend to be like bananas and buses – they always seem to come in bunches, and this month is certainly shaping up to be a bonanza for collectors. First up is the “800 Years: Irish Political & Military History” sale at James Adams on the 18th April with 650+ lots and some incredible treasures! Books, banners, uniforms, guns, swords, medals, glass plate negatives of 1916 – an original copy of the Proclamation (Est.€60/80,000) – posters, plus a multitude of other ephemera. The superb RIC uniform (below), one of several in the sale, does it for me. Lot.599. Royal Irish Constabulary District Inspectors (1st Class) Uniform of George Hugh Mercer. George Hugh Mercer, District Inspector was appointed Private Secretary to the Inspector General on 27th January 1911. Est.€8,000 – €12,000. Next up is Whyte’s sale of “History, Literature & Collectables” on Saturday 21st April at the Masonic Hall in Dublin’s Molesworth Street. 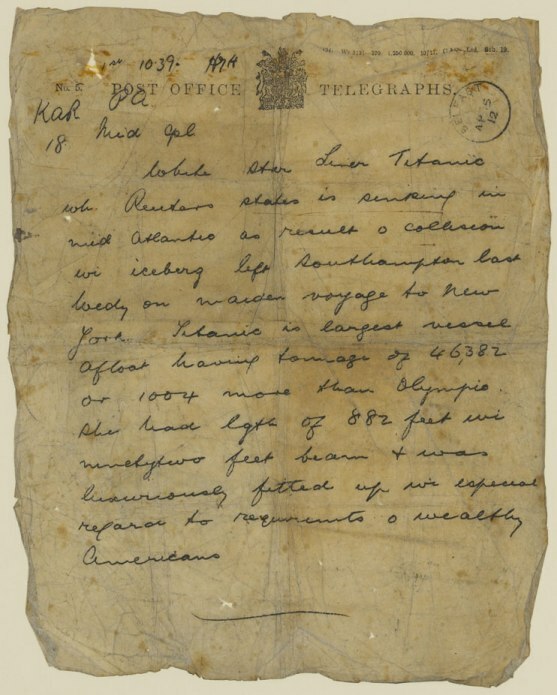 780 Lots including much relating to the Titanic (see telegram below), some nice White Star line crockery and a superb painting of the ship off the Fastnet Lighthouse – the last view most passengers would ever see of dry land! Also included are numerous items of Irish military interest – uniforms, guns, medals – plus a selection of highly collectable political and travel posters, banners, rare coins and banknotes. Another not-to-be missed sale. The catalogue itself is a collectors’ item! Last, but certainly not least, comes Mealy’s (Castlecomer) two-sale at the Berkeley Court Hotel in Ballsbridge on the 24th/25th April. 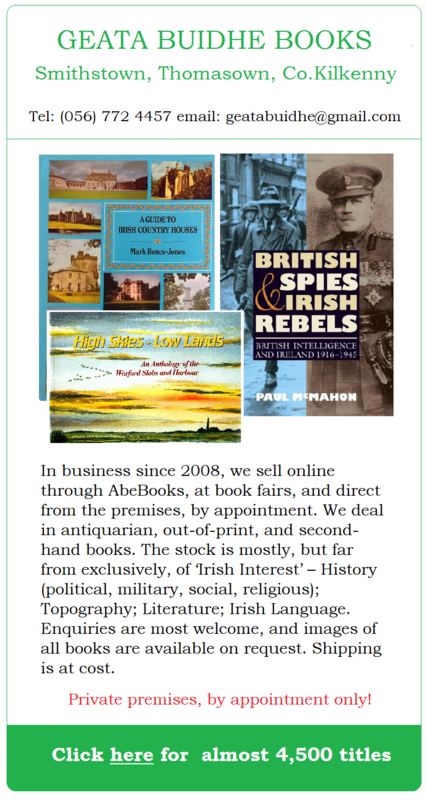 The sales, each with their own catalogue, are billed as “A Gentleman’s Library” and “Ireland’s Struggle”. Again superlatives fail when it comes to describing the lots on offer – “A Gentleman’s Library” contains a huge range of rare books, maps, manuscripts – many of the usual, sought after suspects are here, such as Taylor & Skinner’s Road Maps of Ireland from 1778 and Flora Mitchel’s “Vanishing Dublin”, as well as many other outstanding items. 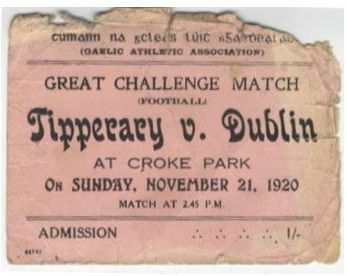 “Ireland’s Struggle”, as the name suggests, concentrates on material relating to Ireland’s fight for freedom from the British Empire and contains all sorts of books, medals, flags, militaria – among which surely one of the most poignant items is a fairly moth eaten ticket from the “Bloody Sunday” GAA match at Croke Park on November 21st, 1920 (pictured below) which carries a modest estimate of €1,500 – €2,000.